The Crazy Bookworm: Halloween Wrap Up! Well October has come to an end. 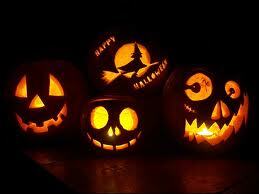 The little ghouls and goblins will make their rounds tonight and then it is farewell until next year. I want to thank everyone that was a part of The Crazy Bookworm Halloween countdown. It was my first year doing that here on the blog and I can't wait to kick it off again next year. Here is a wrap up of all the haunting things that took place this month. I want to thank all the authors that took part in the Halloween Countdown!